Rarely can a win have been greeted with such universal euphoria. 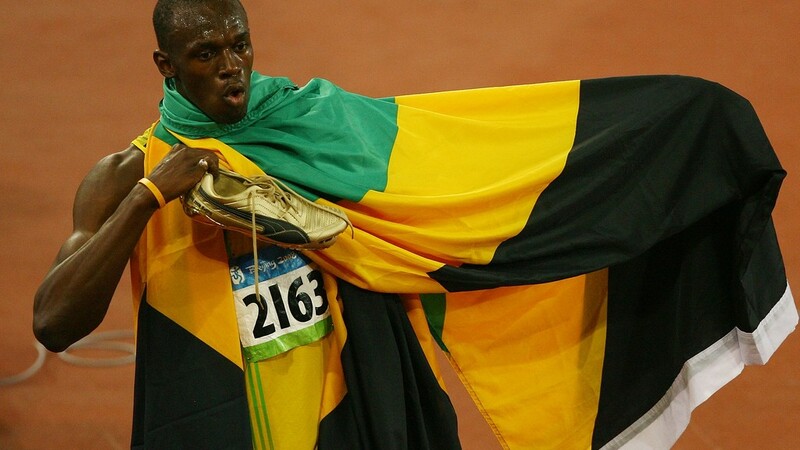 Usain Bolt, in the words of BBC commentator Steve Cram, had “saved his sport”. The adulation was not merely a celebration of the greatest sprinter of all-time, it was wide-spread relief that a two-time drug cheat had been denied victory by one hundredth of a second, with Justin Gatlin crossing the line in 9.80 seconds to take silver behind Bolt’s time of 9.79. Gatlin headed into the 100m World Championship final as the odds-on favourite, having dominated the sport in 2014 and 2015, with Bolt only fit to run the distance three times this season before heading to China. Newly appointed head of the IAAF governing body, Sebastian Coe, had admitted that the thought of the 33 year-old American taking gold in Beijing made him feel “queasy”, whilst others seethed that a man who had seemingly not learned from past mistakes was allowed to compete on this stage at all. Either way, it made for intoxicating theatre; good versus evil – Bolt, a man struggling for technique and fitness, the only one that could deny the corrupt Gatlin, it was the only story in town. Clean living, drug free and adored by all. The best there is… The best there ever will be. I genuinely am the #UsainBolt of the rock world. 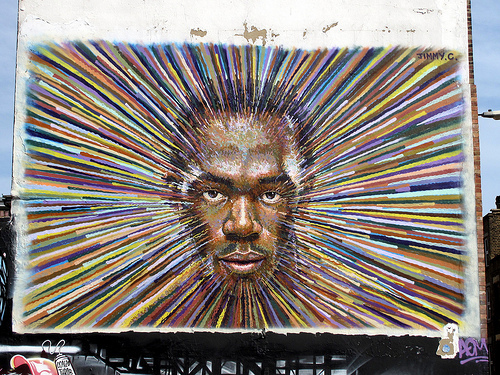 Is Usain Bolt a real-life Superman? Should people lay off Justin Gatlin? Let us know in the comment section below! Neil Robertson became the first professional snooker player to make a century of century breaks in a single season last weekend, when the world number one vanquished Judd Trump in his quarter-final match at this year’s World Championships. Dom Kureen takes a look at half a dozen other feats sports fans are hoping to see in the near-future. 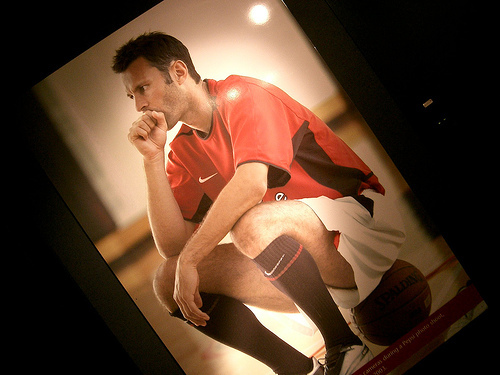 Since snubbing Manchester City for rivals United in 1987 aged 13-year old, Ryan Giggs has gone on to become one of the club’s greatest players of all time, notching up 963 first-team appearances, to easily leave Sir Bobby Charlton’s previous record of 758 trailing in his wake. Amazingly, at an age when most players have long since hung up their boots, the Welsh maestro remains capable of inspiring his team to unlikely victories, albeit mainly against the lesser lights of Premier League and European football. 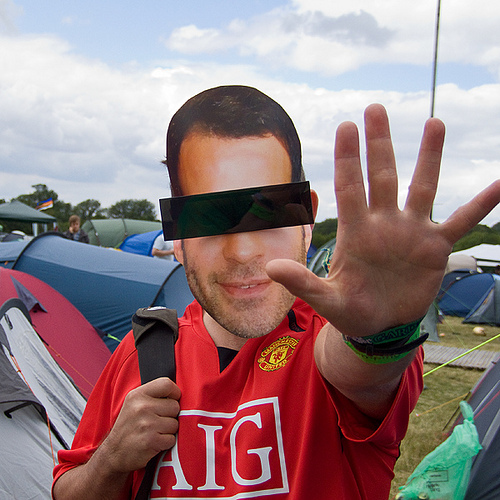 Aged almost 41 years old and with an uncertain future at Old Trafford, Giggsy would seem destined to fall agonisingly shy of the remarkable four figures. Additionally, his current rate of around 20 matches per season would require him to play on until close to 43 to get there. Bursting onto the professional tennis scene as a teenager, the younger Williams sister soon surpassed the achievements of her legendary sibling, Venus. The singles slam success began with a 1999 US Open victory at the tender age of 17, followed by a consistent trophy haul until the mid-2000’s, when injuries began to blight her progress. Happily in 2012 she returned to her forceful best, allowing fans to believe that she might be able to overhaul Court’s intimidating collection of majors. 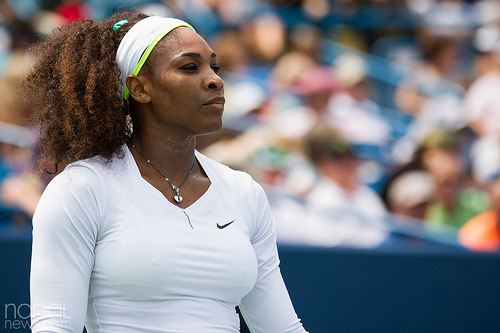 As with Giggs, Williams Jr has age against her, a relative tennis O.A.P at 32. With eight more slams needed, she will probably require 3-4 years minimum to get there, but knowing Serena and the dearth of credible opponents currently in the female game, she might just do it. While Neil Robertson’s 100 centuries in a season is a miraculous effort that will probably never be equalled, O’Sullivan has been consistently churning out the tons for decades. An unpredictable temperament means that ‘The Rocket’ could sulk into retirement at any given moment, but he seems to have belatedly straightened out those issues between the ears and at 38 years of age is playing just about as well as ever. 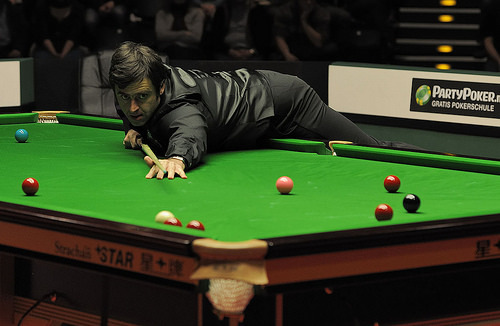 Ronnie should get there, probably next season – then he can set his sights on 1000 centuries and eight world titles! The current WBA and WBC Welterweight champion is a phenomenon who has fought in five different weight categories over the past two decades. 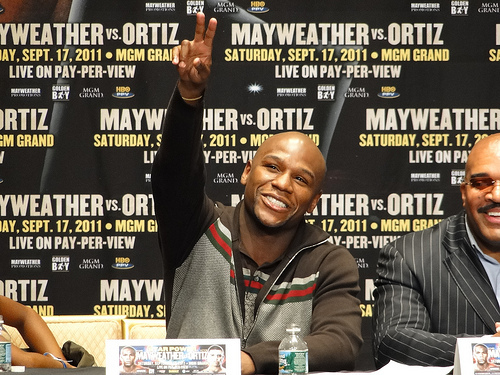 There will always be dispute amongst some fight fans over where he stands in the all-time list, after ‘Money’ seemingly ducked a bout against Manny Pacquiao in 2010 – The fight everyone wanted to see. That shouldn’t take the shine off a career that has witnessed the likes of Oscar De La Hoya, Miguel Cotto and Shane Mosely’s defeated and British hopeful, Ricky ‘The Hitman’ Hatton, taught a lesson in the art of pugilism. A lot depends of Mayweather’s desire to reach that target. He’s saved his money, earns tens of millions per annum in endorsements and has hinted at a full-time transition into promotion. If he wants to get to 50-0 he probably can, particularly with overrated fodder like Amir Khan waiting in the wings. 5. 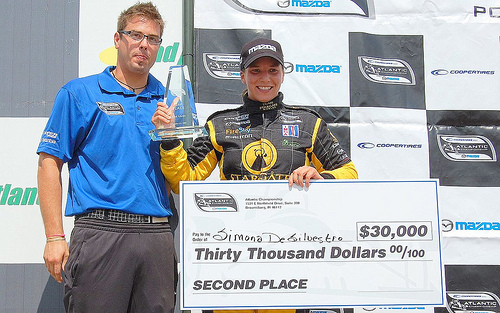 Simona de Silvestro becomes the first woman to make the F1 podium. Having witnessed de Silvestro record a podium finish in the IndyCar 2013 Grand Prix of Houston, Formula One team Sauber took a punt on the young Swiss driver, snapping her up to a long-term contract, with the aim of getting her into the car for the 2015 season. Her efforts in testing have been steadily improving and after a successful motor sports career at other levels, there seems little reason why she shouldn’t be able to prosper when facing off against the elite of her profession. It remains a long shot. Despite promising results behind the scenes, de Silvestro remains far from the finished article. With time, application and a decent car it’s not impossible. Nobody has ever exhilarated the sprints quite like Usain Bolt, with his zealous celebrations 10 metres before the finish line and exuberant persona. In 2009 the Jamaican set the current world records at 100 and 200 metres, since then he’s remained the dominant force in both events, without really threatening to shave a millisecond off the quickest times. Not likely. Bolt is gradually slowing down (a little bit!) and there’s nobody in the wings who can legally run within a tenth of a second of him at his best. Expect the two current world records to remain untroubled for the foreseeable future. What sporting records and feats would you like to witness? Let us know in the comments section below!